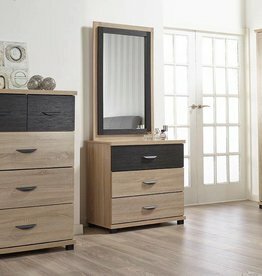 3 door, 3 drawer, mirror. 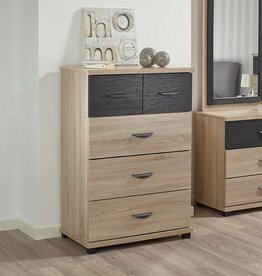 Dominic 5 drawer narrow chest. 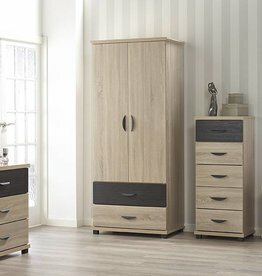 Dominic 2 door 2 drawers wardrobe. 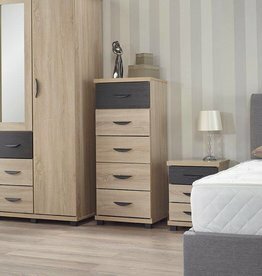 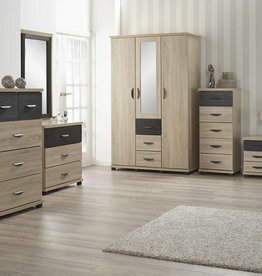 Sonoma oak finish bedroom furniture with curved metal handles and black wood grain feature drawers. 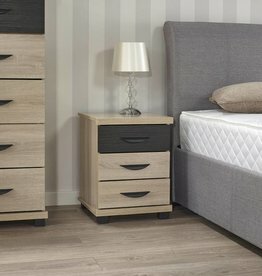 W:80 x D:54 x H:190 cm.